Marc Harshman, the poet laureate of West Virginia since 2012 and an author from Marshall County, donated his life’s work collection to the WVRHC’s Distinguished West Virginians project. His collection reflects his dedication to both his craft and to Appalachia: not only do we have many of his rustic poem collections such as Believe What You Can, and Green-Silver and Silent, but many letters to and from publishers about his children’s books also are part of the collection–plus many manuscript drafts enclosed therein. 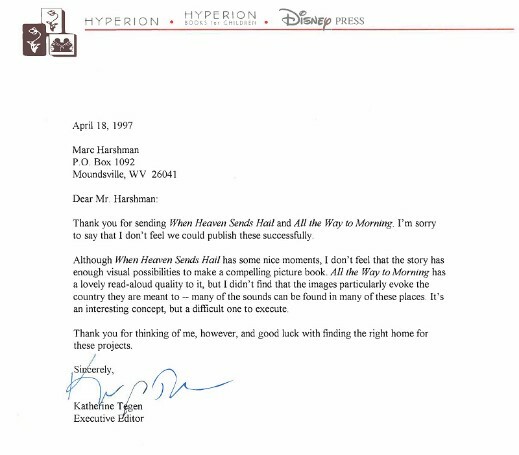 But ultimately it was rejected from that company as well due to employee changes (and a very regretful letter from the editor who had been so enthusiastic in the first place). Like ONLY ONE I believe this book, too, came as a gift, although I actually do not recall its inception. Unlike the earlier book, however, this one was not immediately accepted by my editor. But I always liked the idea, worked it through some significant revisions, and just kept sending it around. Then Judith Whipple at Cavendish read it and loved it at first sight. Harshman clearly had a vision for this work, and saw it through to the end. 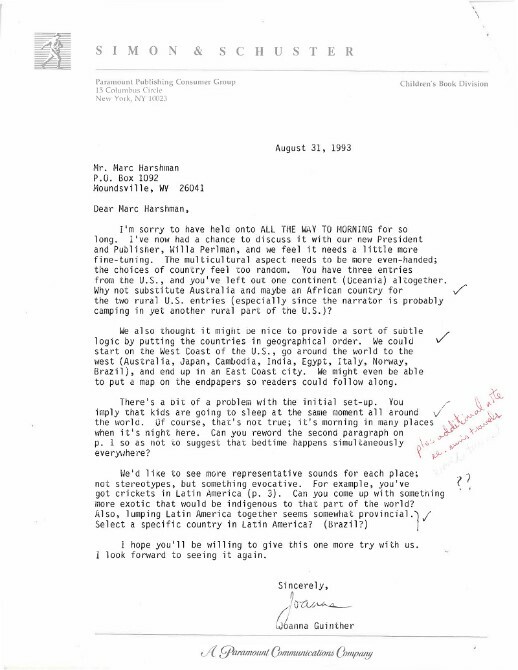 The Marc Harshman papers, once processed, will be available as part of the Distinguished West Virginians collection.